Here’s a one minute post with a one minute tutorial. I’m busy at the moment encouraging colleagues to start using Google Classroom. The reason I’m pushing it is that for the majority of teachers and especially the less technically inclined, it removes so many of the regular problems with choosing and setting up various apps and platforms for communicating and sharing files in a BYOD school. 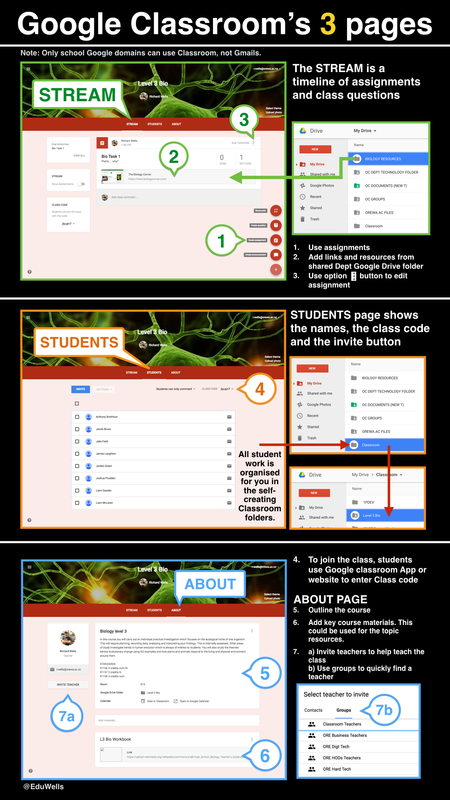 So here’s my summary poster that explains the key elements of each of a classroom page.